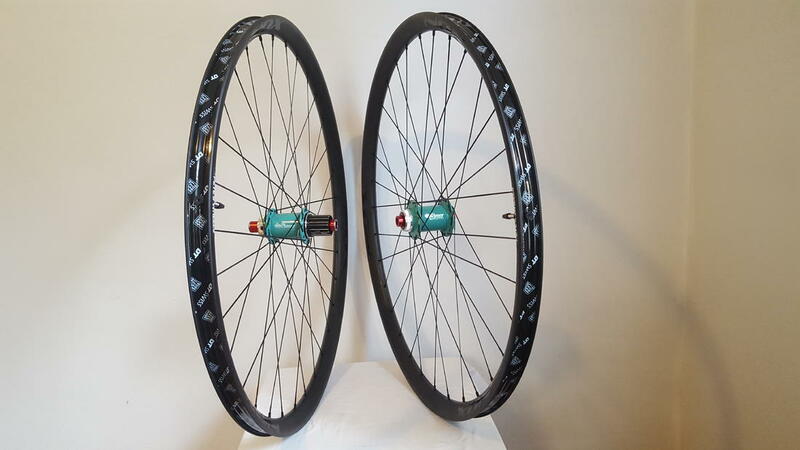 Thread: Yo, wheelbuilders: Onyx hubs? Any of you all work with Onyx hubs? Concerns/problems? I would also like to know. Im thinking about building up a set of wheels with these hubs. I have no first hand knowledge of the hubs but I have one observation. Why the cutouts in the freehub? It's just inviting contaminates into another area of the hub normally sealed. That can't be good for the bearings. I see that White Industries hubs are less expensive. Those are excellent hubs. And did you see the front? https://onyxrp.com/store/mtb-hubs/mt...mm-thru-helix/ (they make ones that are not cut out like that though). I'm far from a stickler for keeping clean hubs but that looks like a nightmare to keep clean especially for a mountain, cx or gravel bike. The bearings may be very well sealed, but I still don't want a hub full of mud just because. Looks like there's an option to have solid shells without the "windows" so that's what I'd get. Thing with Whites...they're blingy, which I like. MUSA, which I like. They're even easily serviceable......but all the videos of CLD hubs I've watched make me think they're loud. Also more slack freehub engagement than even cheap Bitex. Also I swear I have read rumor of issues of lockring clearance with 15mm thru axles. If I'm wrong on any count-by all means tell me. The windows...yea not doing it. Only thing I'm not liking the Onyx for is weight. The engagement was doubled a year or two ago. Anything more than 48 is hype in my opinion. I have never run into clearance issues with 15mm thru axles. They even include the lockring you need which not all hub makers do. Definitely not loud in comparison to other hubs. In fact they are on the quieter side, especially since they changed their pawls and engagement ring design. Only issue with lock ring is you can't use a internal spline,(like a shimano cassette) It has to be a external spline, same one use on the shimano external bottom bracket. We're starting to see some interest in Onyx. The 6 bolt disc versions seem to have less than ideal geometry, while the center lock is better. Very expensive, all of them. Engagement speed at low speed with low gear ratios is great, but I don't notice much functional difference between my mtb wheels with 48 point WI XMR hubs and the other set with 120(?) point I9 Torch hubs. With 15mm or greater front axles, you need the HB-20 type (external) lock ring. WI changed their 12mm axle to fit with the internal lock ring because the external locking can interfere with flat mount brakes. If you have 15mm axle, there's like 0 chance you have flat mount brakes so no issue. And WI includes the lock ring for 15mm hubs (and QR, which are just 15mm with QR plugs). I don't know anyone that has Onyx hubs that isn't very happy with their choice. Has anyone tried the onyx road hubs?